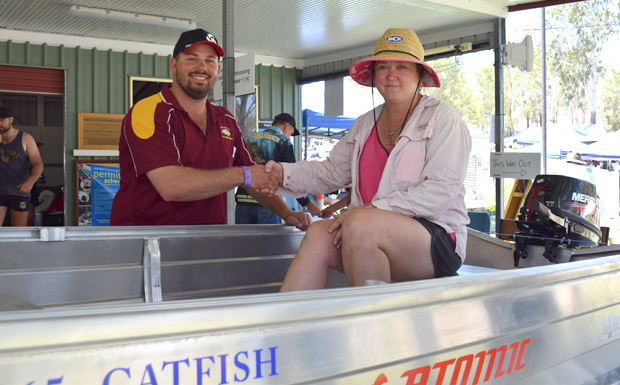 The popular annual event – held every February – is a major fundraiser for the Boondooma Fish Stocking Association (BFSA). BFSA uses competition fees to supplement fishing permit funds from the State Government to keep the lake stocked with fish. In fact, the association released 105,000 Yellowbelly fingerlings into the lake on Saturday morning. This year’s Yellowbelly competition, which offered more than $50,000 worth of cash and prizes, was held in near-perfect weather. BFSA spokesperson Terry Allwood said the lake fished well, with 157 fish in the catch and release section and another 145 in the gilled and gutted category. 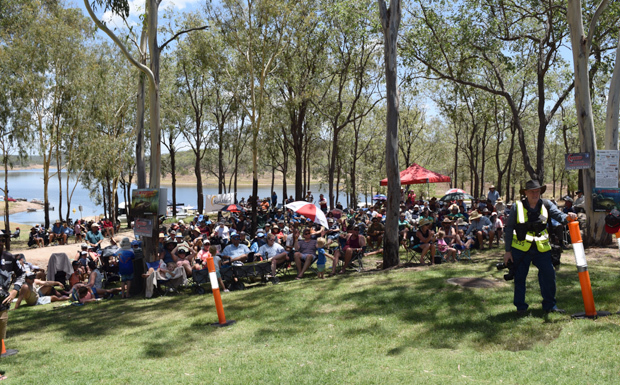 There were 945 entrants taking part – including 236 juniors – and an estimated 2200 campers filled Lake Boondooma’s grounds. Cash and other prizes were presented at the end of each of the three sessions, and overall competition winners were awarded at the conclusion of the event about lunchtime on Sunday. 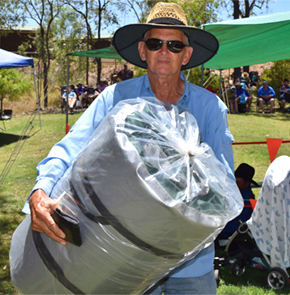 Terry said the dam was at just 39 per cent capacity but this was still more than enough to ensure a great weekend of camping, fishing and family activities for participants. The Catch and Release categories were increased this year to include Yellowbelly, Bass, Jew, Silver Perch and Spangled Perch. Anglers used the “Track My Fish” phone app to photograph and release the fish. 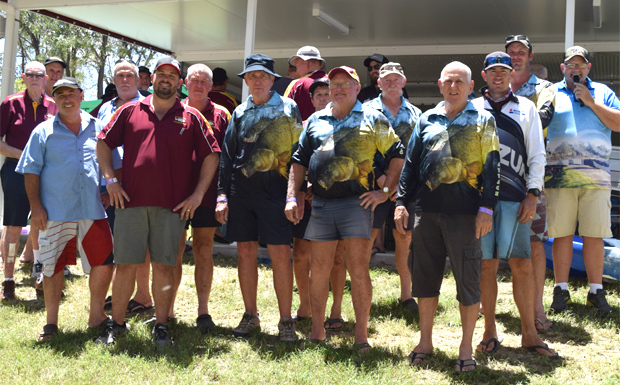 “This proved very successful with Michael Jarvis, of Coolum Beach, winning the Yellowbelly with a fish of 550mm,” Terry said. 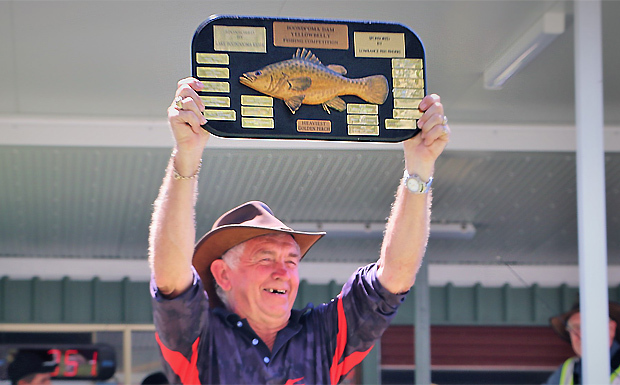 The Heaviest Yellowbelly title was claimed by Mick Turner, from Boonah, with a 2.085kg catch. 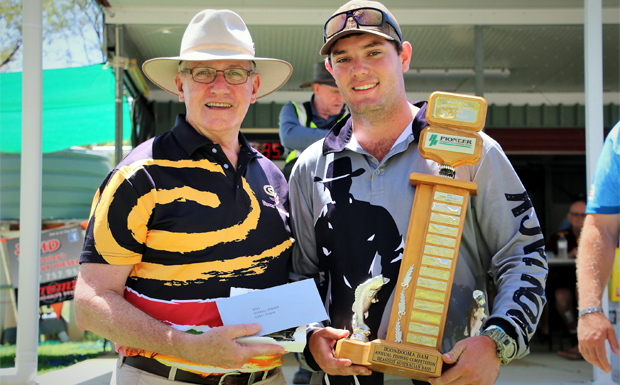 Mick took home more than $400 cash and prizes and a trophy, courtesy of Stanwell Corporation. The winner of the heaviest Bass section, sponsored by Wondai Accounting and Tax, was Geoffrey Kinsella, from Moffatdale. Geoffrey landed a 1.525kg Bass, securing a pay cheque of $350 plus prizes and a trophy. 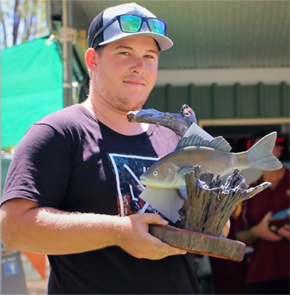 The Hanwood Fish Hatchery champion junior anglers were Blake Manthey, from Kingaroy, with a 1.470kg Yellowbelly, and Jake Johnson, from Chinchilla, with a 1.355kg Bass. 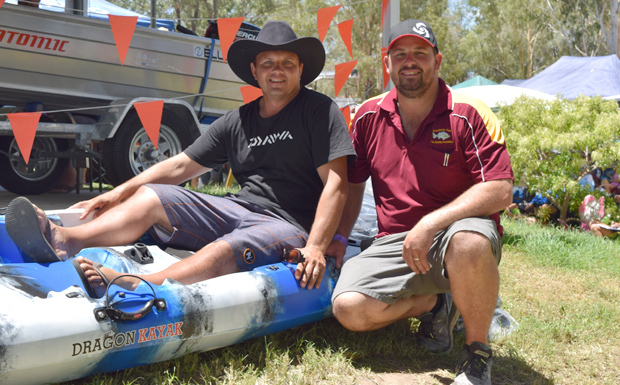 The 3.6m Quintrex Boat 9.9hp Motor and Trailer package, sponsored by South Burnett Regional Council, was won by Anthea White from Bellbird Park, while the Dragon Kayak was won by Callum Craig from Alexandra Hills. “BFSA would like to congratulate all the winners and thank everyone who attended and made the event such a success,” Terry said. Food and drinks stalls were provided by local community groups over the weekend. Next year’s competition will be held on February 8-9. Entry costs will remain at $20 for adults and $5 for juniors aged 16 years and under. Organisers say it will be even bigger and better as it will mark the competition’s 30th anniversary.